I live in the beautiful, beachy boondocks of Florida these days, so I don’t have much access to new niche perfumes. Some days, I look at the blogs, and realize I will never have an opportunity to try even one perfume reviewed that day. But I’m OK with that, for now. My Nerd Girl studies continue. 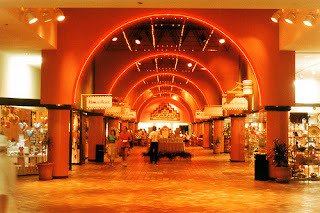 I did, however, vacation in South Florida recently, and they have shopping malls! They have a Saks! Oh yes, I had to go, in search of the Cartier Heures . They were out, except for Mysterieuse, which I was sorely tempted to buy, sigh. But the SAs at Saks are really a treasure, and I ended up having a terrific couple of hours with them, quizzing and being quizzed about many of the new(er) perfumes. OK, Ellie Saab was all over the place, and it was decidedly MEH to me. No offense to those who love it; I’m jaded and 90% of new releases evoke either YUCK or MEH. 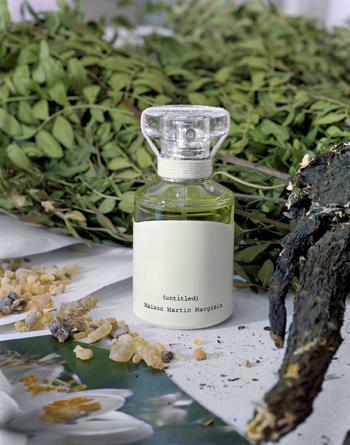 What thoroughly charmed me were the Martin Margiela perfumes, the Untitled, and the new, Eau d’Untitled . Untitled has an unabashed galbanum top note, straight from Persia, wow! It really reminded me of vintage Cristalle. The SAs stated sadly that most people who smelled it made the “Galbanum Face”, in other words, they wrinkled their nose at all that shocking green goodness and murmured, “Oh no….” I brought my mother over to try Untitled, and, right on cue, she made the Galbanum Face! But she loved the fruitier, sweeter, lighter L’Eau, and I liked it, too. Reminiscent of an old favorite of mine, Calyx by Prescriptives. I also enjoyed Cartier’s Lune, but not enough to take it home. And Hanae Mori’s No. 4 was quite nice. These days, I really treasure a perfume that amuses me, that keeps me guessing at what it will waft up next. The last perfume that did this, that truly entertained me, was Gaultier's Ma Dame. The rich panoply of Gen X childhood references made me grin, and ditto for my American friends who picked up on the wacky olfactory references. At Saks, the delightful SA, Beth, knew exactly what I was talking about, and shared some Bond No 9 Coney Island with me. Now I would never have picked this out of the Bond lineup for myself. I'm a Silver Factory girl. But Coney Island is one of those genius perfumes that, like Willy Wonka's special chewing gum that presents you with an entire meal, brings course after course of olfactory fun. First comes the big fruity margarita, oh my! Then the mixed- fruit-on-a-stick. Then the caramel corn and candy floss. And just when you think the fun is over, churros! I really liked that cinnamon kick at the end. It's not any sweeter than it has to be; I did not go into a diabetic coma. I mean I magnify sweet notes, and I can wear this. This is a perfume I never thought I'd like, but I'll certainly wear it to a beach party, or maybe, just on a day when I need to feel funny and carefree. What have been some of your recent shopping mall discoveries? I discovered Hermès Hiris a week ago. I knew a lot about it, I had read reviews, but I had never found it to try it. So, I know it's not new, but for me it's been a very pleasant discovery because I really loved it. I tried the new Acqua di Parma Gelsomino Nobile and I think it's charming. Isn't Hiris wonderful? I wish I had snagged a bottle back in Europe, it's impossible to find here. I only have a mini! And the Gelsomino Nobile was very pretty, I tried it at Saks, too. Just a straight-up, milky jasmine, lovely. Marla, I believe Fragrancenet.com currently has Hiris, it comes and flies out really quickly so you must one your toes, that's where I got mine and yes, it is so lovely. For some reason I love it's ethereal beauty best in winter. I'm a bit odd that way loving heavy deep scents in summer, Cuir de Russie anyone? Good luck getting Hiris and the bottle, oh the beauty of it . . . . Thank you, I'll keep an eye out! I love the subtle carrot note in Hiris, too. "Galbanum Face" made me LOL!! Love that. How nice that you had a good experience at Saks! I like to hear positive SA stories. It buoys my faith. My most recent shopping "win" (although I didn't buy it - yet) was the new Bottega Veneta. Isn't it great when the SAs are both helpful and knowledgeable?? Marina, my "galbanum face" is a smile! So is mine, I love the stuff!